with its relatively modest elevation of 6,512 feet. 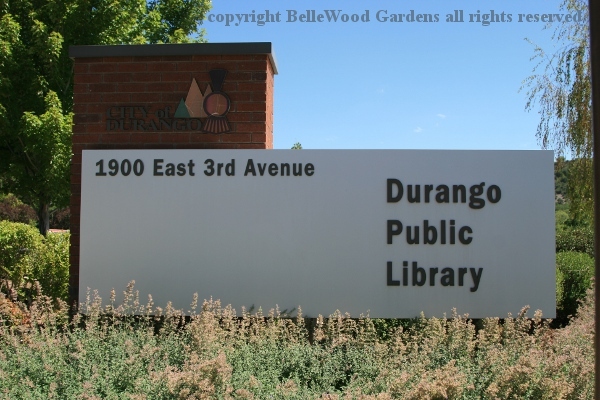 Our first stop is at the lovely Durango public library. Whyfore? Because today is the day the solar eclipse will sweep across the country. Durango will have 80% totality at 11:41am local time. 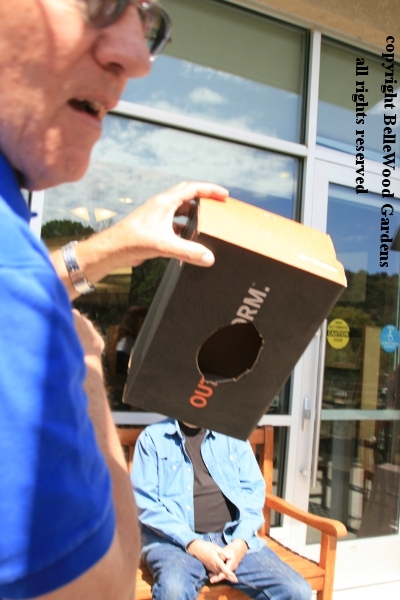 And the library is hosting an event, providing solar safe glasses. It is somewhat cloudy, but more patches of blue sky than overcast. 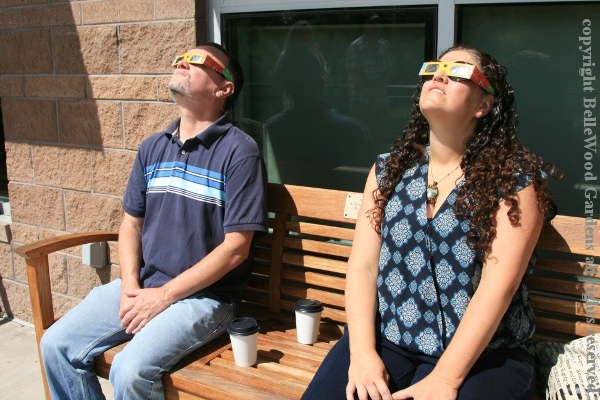 Apparently the solar safe viewing glasses, offered at 9:00am when the library opened, were snatched up in moments. 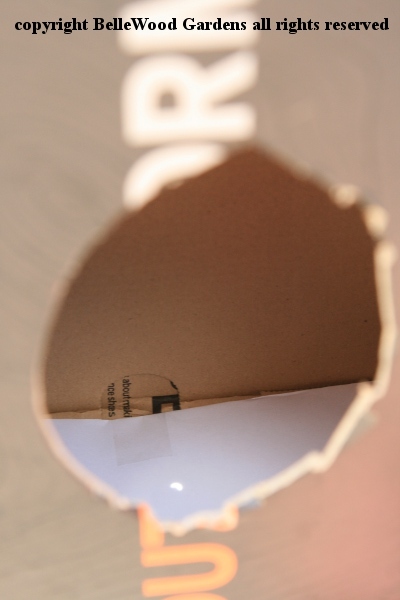 You could make pinhole viewers. Children were sampling Ritz crackers, thinking they were thoughtfully provided snacks. 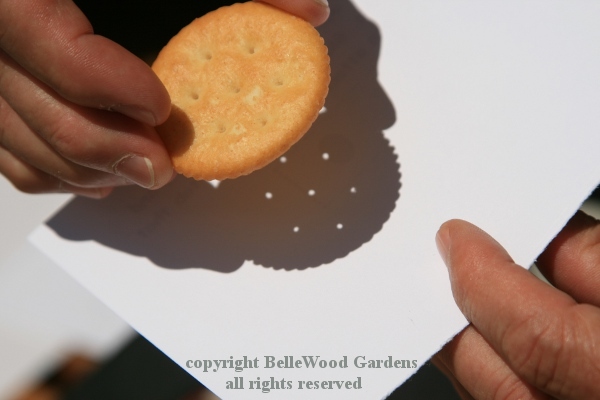 Not so - turns out the holes in Ritz crackers are suitable pinhole for solar eclipse watching. This man had made a shoebox projector. to creep across the sun. and graciously shared their glasses with those who had none. The light grew dimmer. It got significantly cooler. Shadows were still sharp - I could lift a lock of my hair, spread it out and see individual strands. Colors changed somewhat. I mean, deciduous trees along the Animas River were still green but it seemed more vivid somehow. 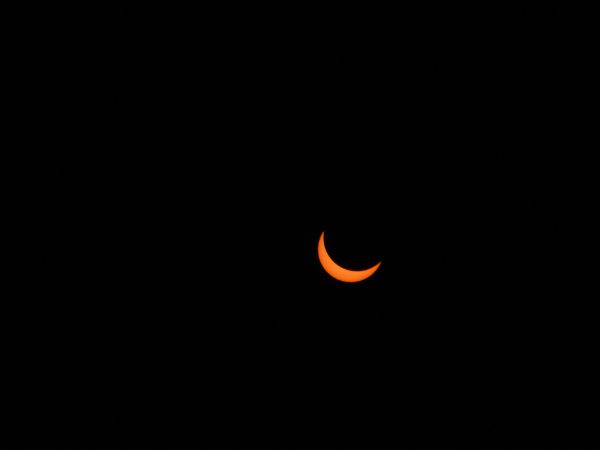 The moon moved in its dance, the sun began to peer out on the other side of the shadow. And watchers came back to the light of day. Here's an image of 70% totality I found on WikiCommons. 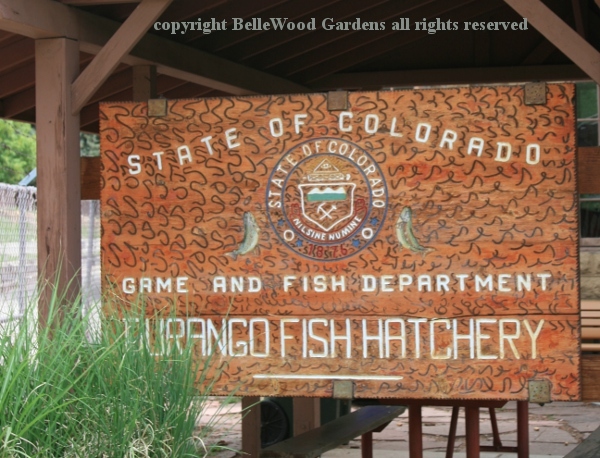 Not too far away is the Durango Fish Hatchery. 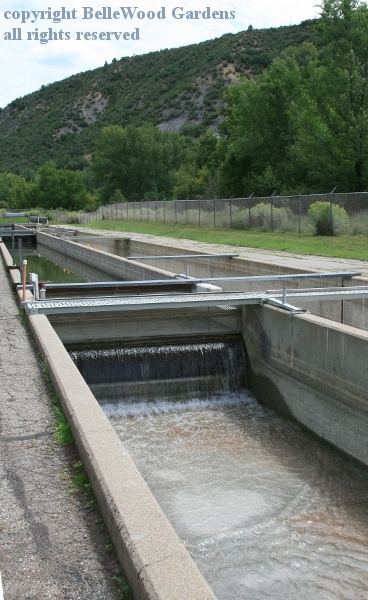 They hatch trout. There's one tank with very large trout. And for a quarter you can buy fish food. one in use. 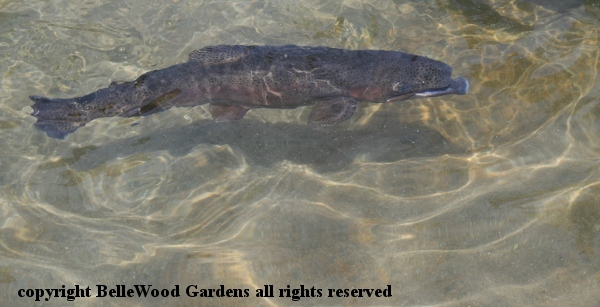 You can feed these fish also. Interesting, but on a rather minimal level. 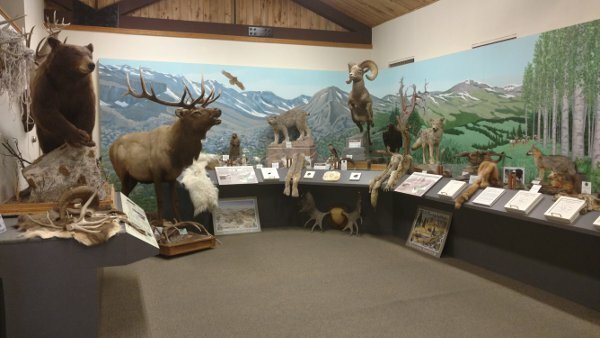 Sharing the same parking area is the Durango Wildlife Museum. invited to stroke the pelts. And ask questions of the volunteer. Each mount seems to have a story. A farmer's wife heard a racket emanating from their chicken house. She went out to see what was the matter. 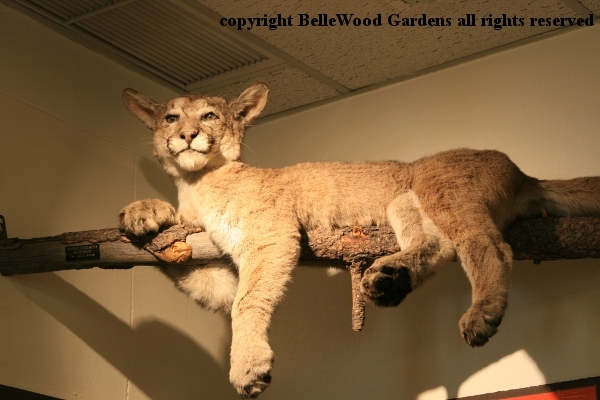 This young mountain lion had gotten in and killed upwards of 35 chickens. He was stalking the farmer's wife when her husband shot him. 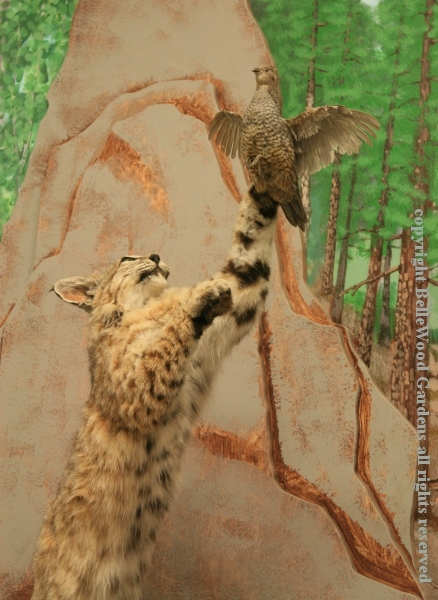 more creatively, like this lynx leaping after a grouse for its dinner. 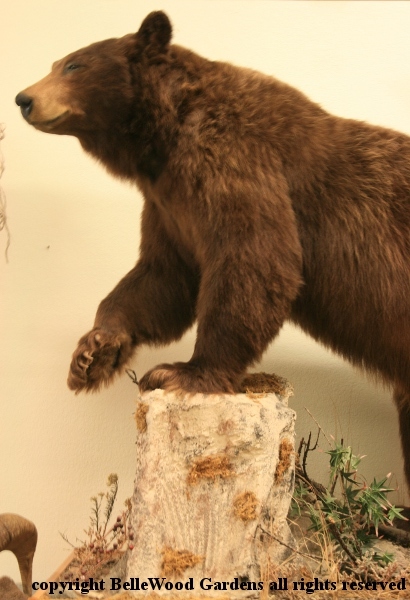 A nicely done black bear mount. 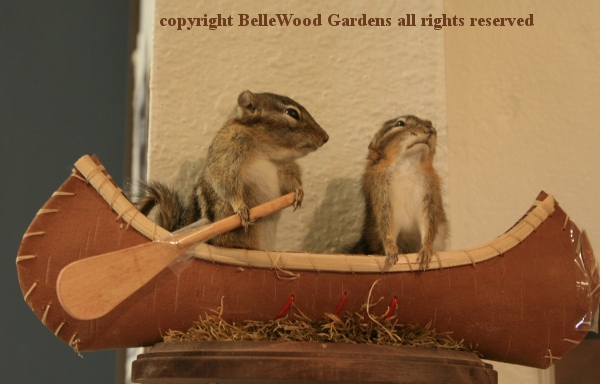 An interesting place to visit for a survey of local wildlife. 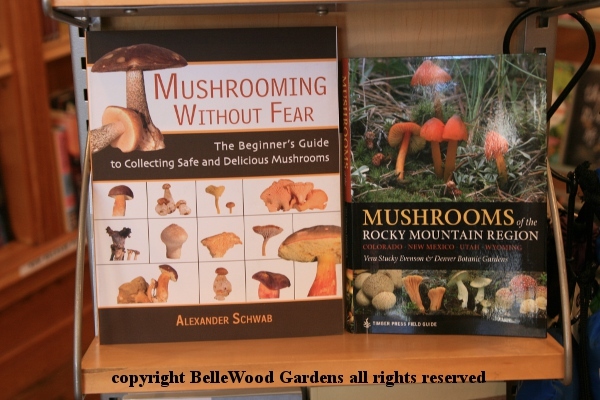 with an up front and center display of mushroom field guides. 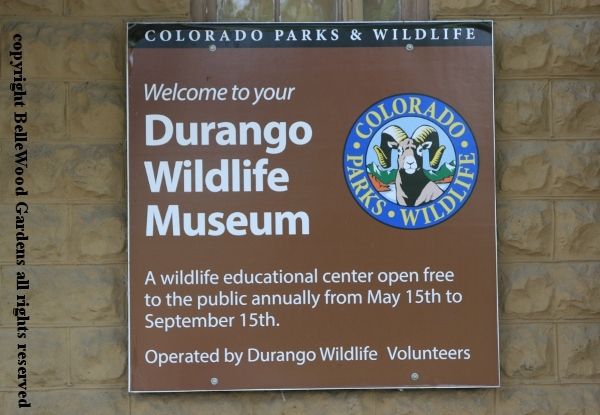 A diversity of interesting, informative, entertaining, delicious stops in Durango. 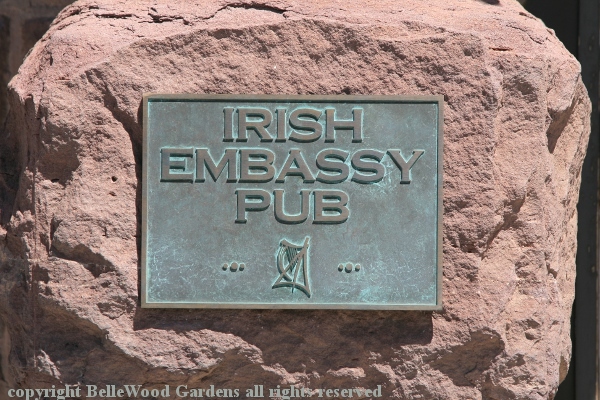 Clearly a pleasant place to visit even before the snow falls and ski season begins.